LiMn / LiPo There are 2 products. 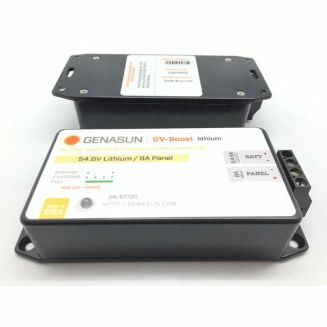 Solar charger LiMn / LiPo 12V, 36V or 48V The Genasun solar charger is the only MPPT solar charger on the market that uses a lower panel output voltage than the battery voltage to be charged. 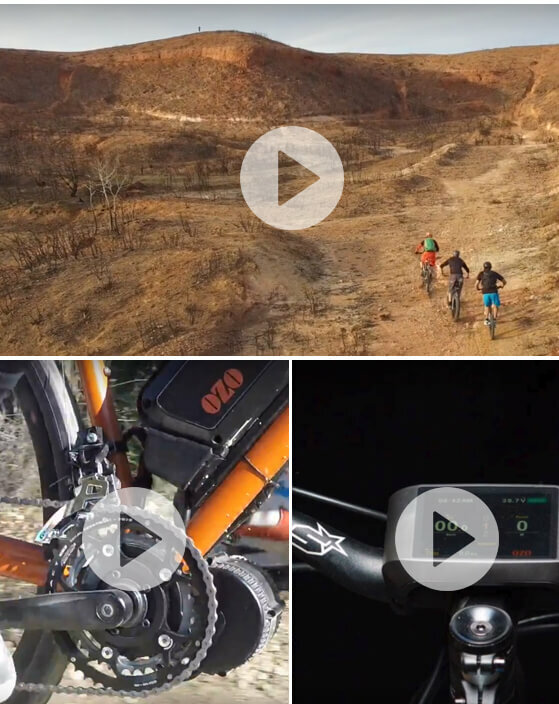 This is made possible by the integrated boostcontroller in the charger. 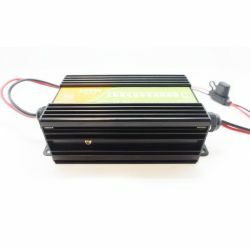 Solar charger 300W that can work with any kind of Lithium Batteries 24V, 36V, 48V, 60V and 72V This MPPT solar charger get an integrated boost controller, so you can charge your Lihtium battery with only one 12V panel.